Advanced communications technology could bring broadband wireless service to remote and rural areas in the Hawaiian Islands, under a new research grant funded by the National Science Foundation. 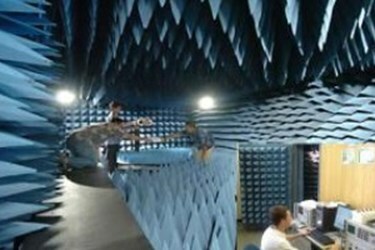 The Hawai‘i Center for Advanced Communications at the University of Hawai‘i at Mānoa's College of Engineering received $500,000 to pursue an innovative solution based on improving the efficiency of radio spectrum utilization. And we’re not just talking about wireless for folks living off the grid in Hāna. Across the United States, more than 19 million people, or 6 percent of the population, do not have access to reliable broadband communications coverage. Availability of such coverage is essential to education, jobs, health care and economic development, yet many people living in rural or otherwise inaccessible areas have only low-speed dial-up access or no data service at all. Rough terrain and large undeveloped areas often present challenges to the implementation of cost-effective and reliable broadband wireless service. HCAC is proposing a new solution based on the use of smart networking with high-performance directional antennas, propagation modeling applications, and spectrum-sensing resources. The new NSF funding will support three years of research and development activity, during which time Iskander and the HCAC team will develop a prototype of their new broadband technology and test it in rural areas in Hawai‘i. The Hawaii Center for Advanced Communications at the College of Engineering, University of Hawai'i at Mānoa is a multidisciplinary, autonomous research center in broadband wireless telecommunications and advanced radar technologies with joint research and educational activities that promote national and international collaboration and partnership with industry in support of economic development in Hawaii. For more information, visit http://www.eng.hawaii.edu/ or http://hcac.hawaii.edu/.